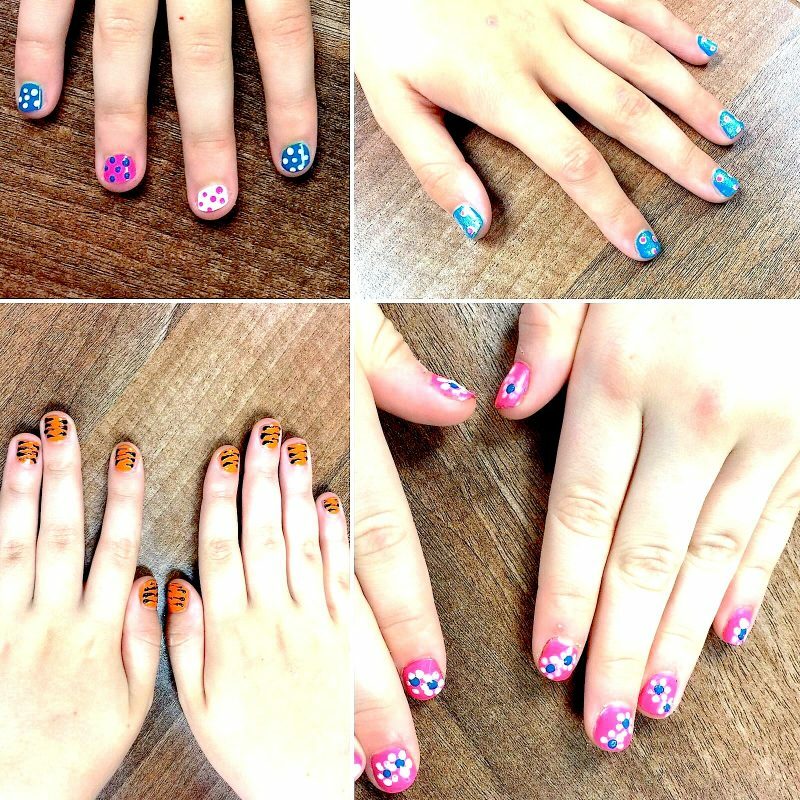 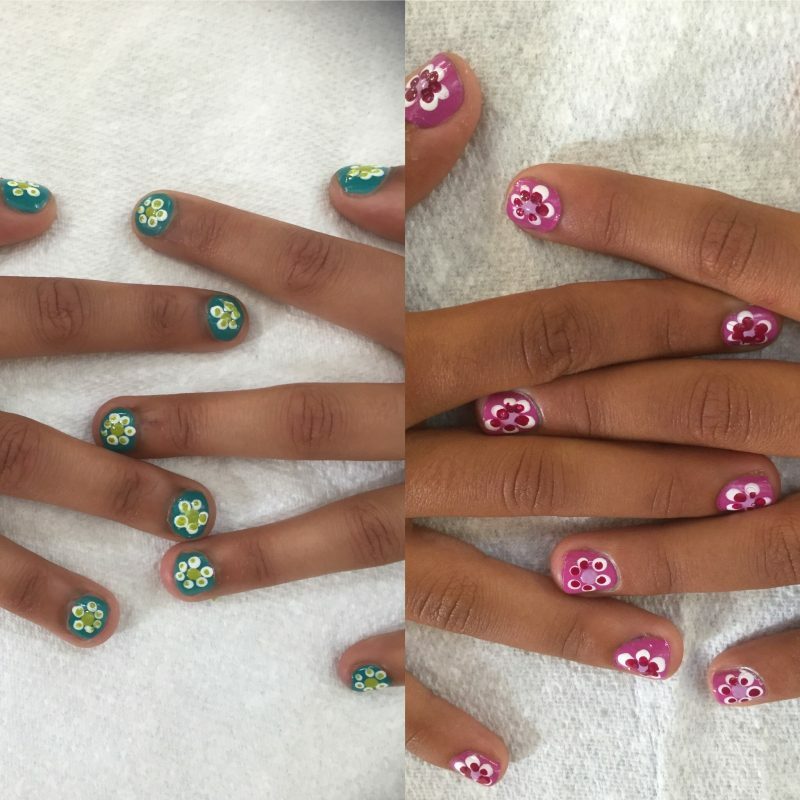 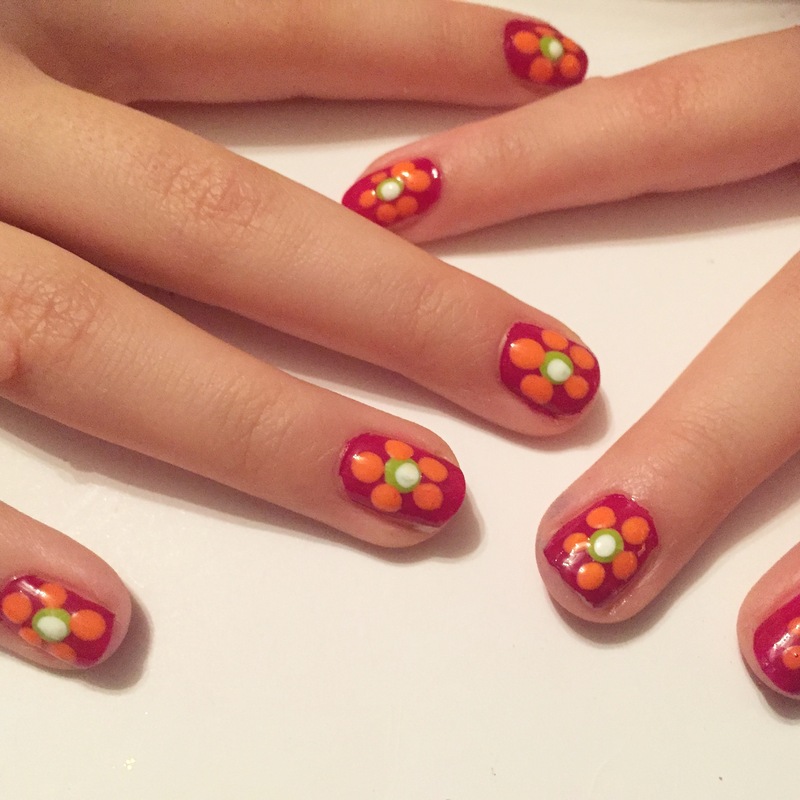 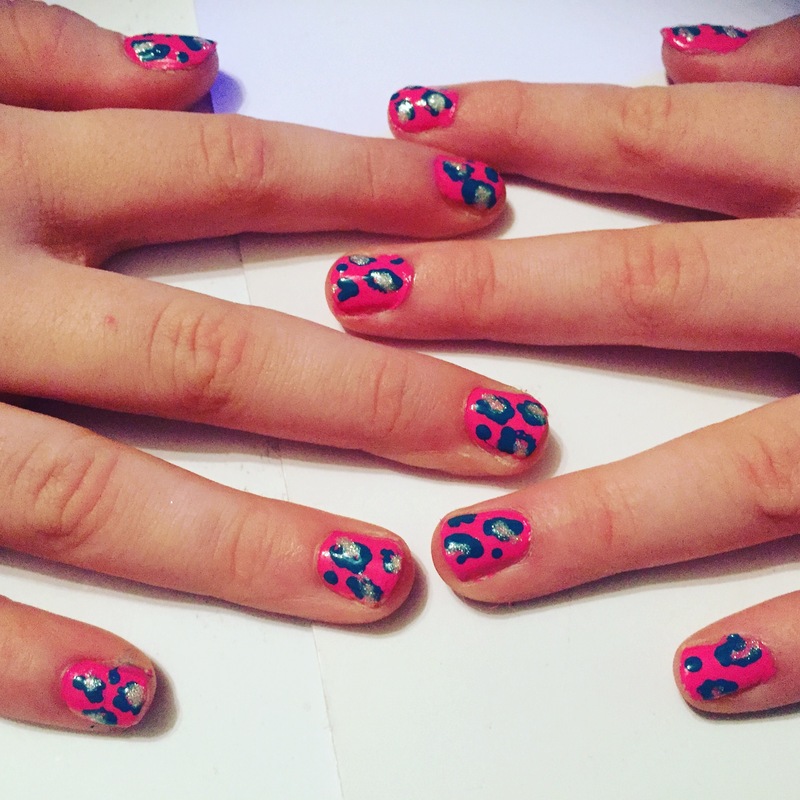 Have the coolest pamper party of the year! 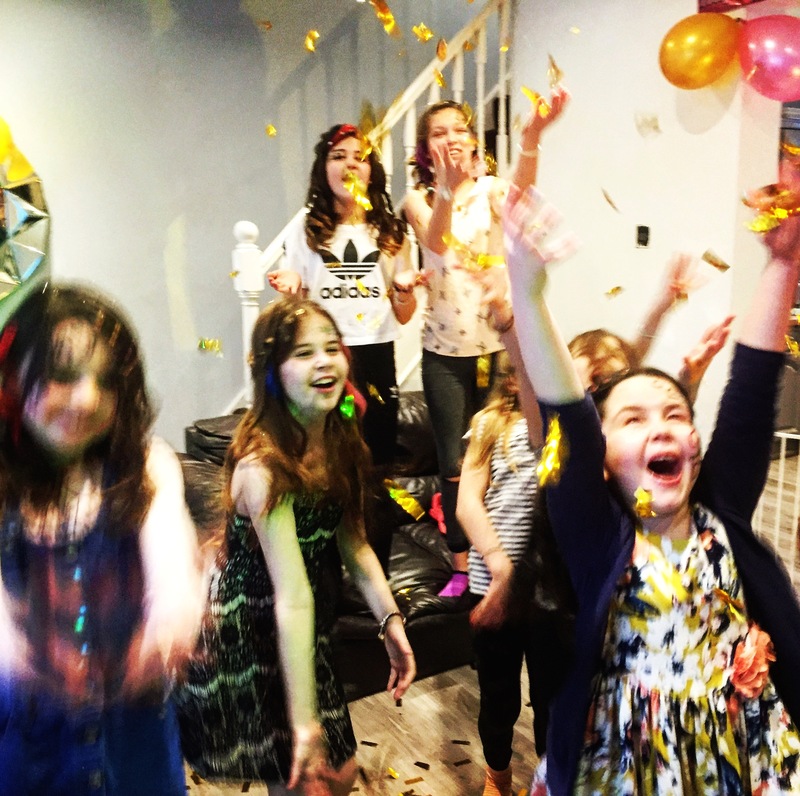 Choose from one of four Giddy Diva girls’ disco party packages. 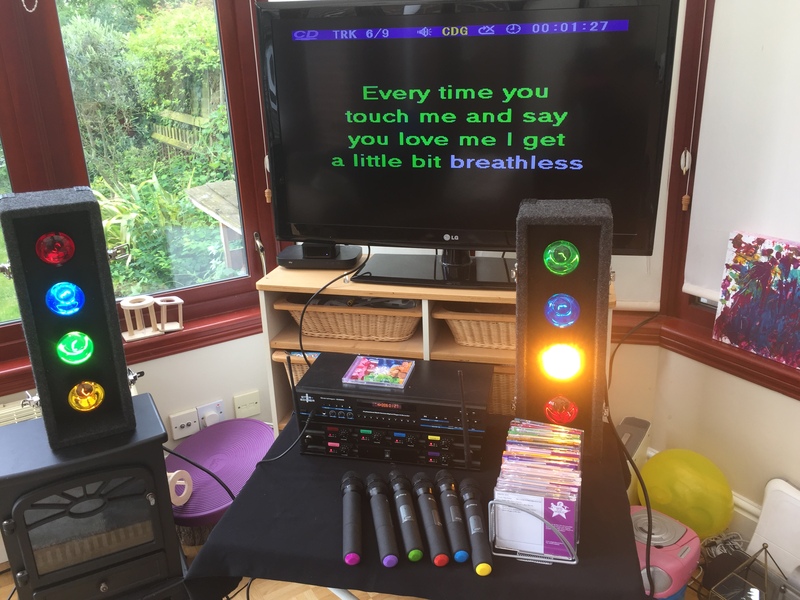 Each includes disco lights, karaoke system and microphones. Allow us to transform your party venue into a disco haven. 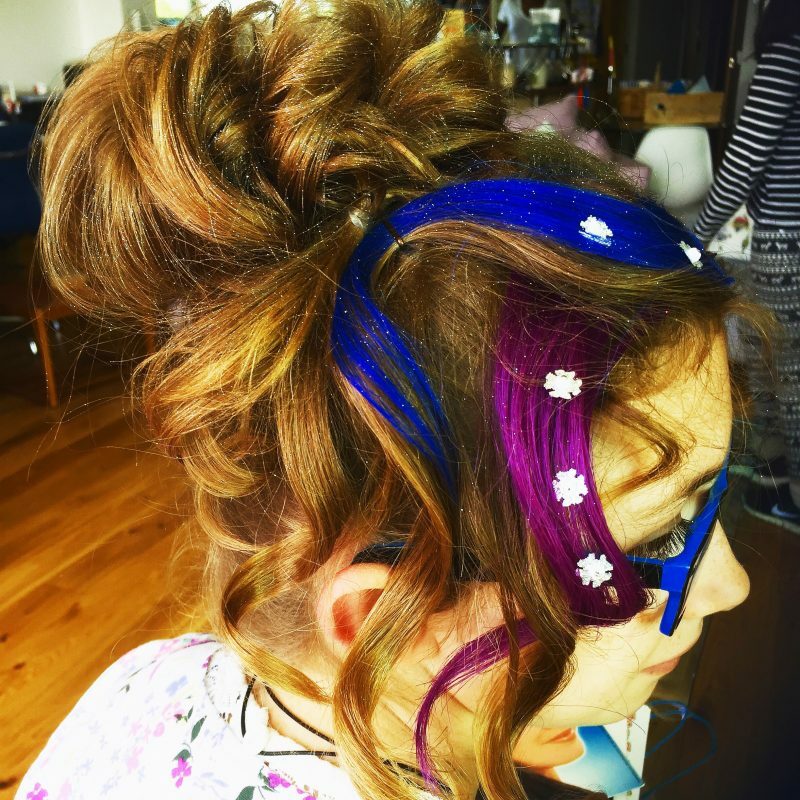 Whilst you and your friends have fun singing along to your favourite chart hits, Giddy Diva will create stunning face art, nails and awesomely accessorised hairstyles. 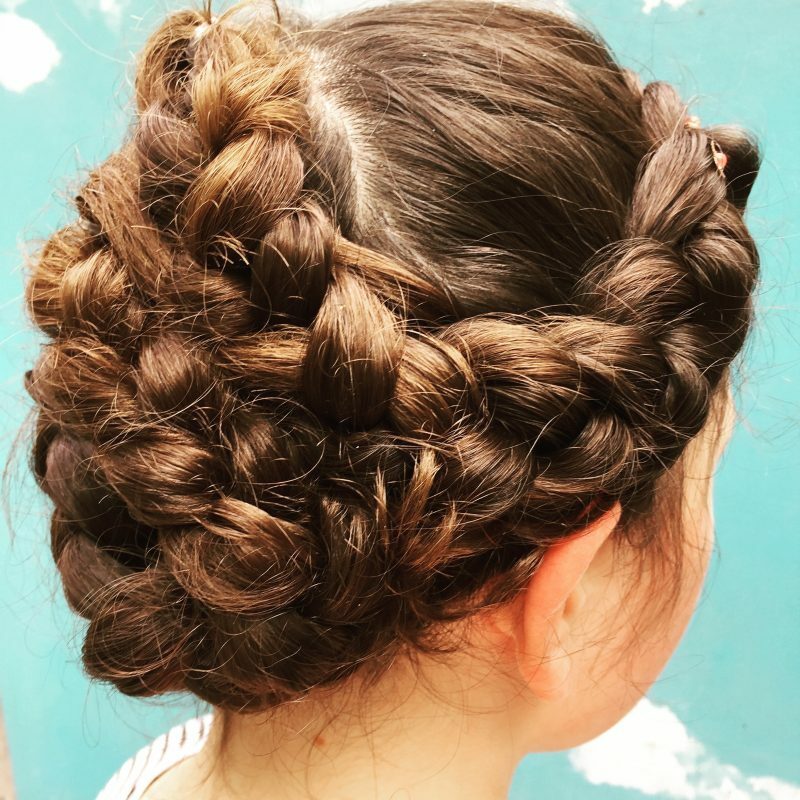 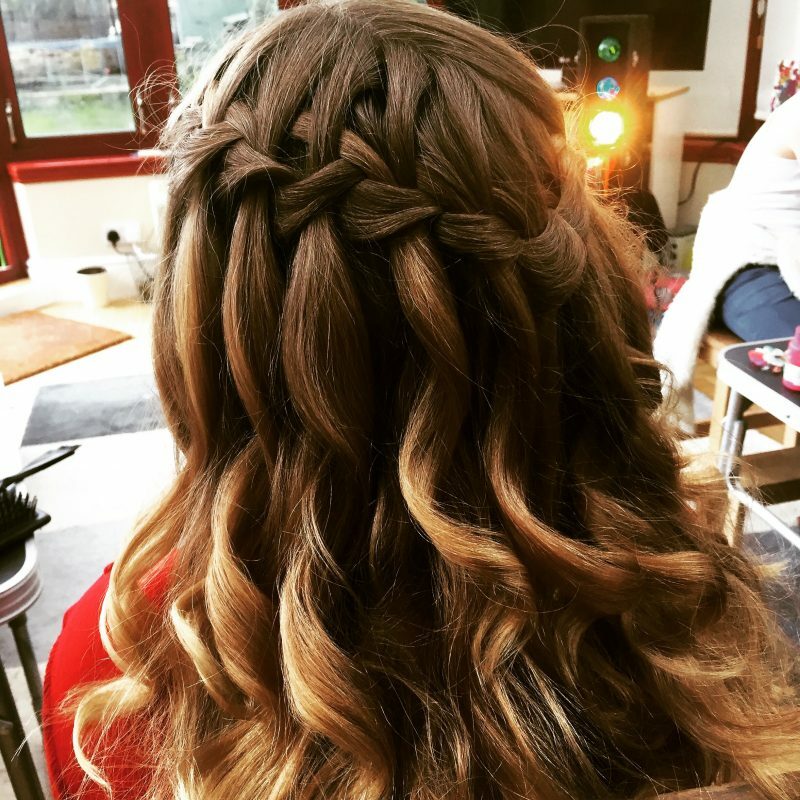 Our team of qualified make-up artists and hairdressers have had years of experience, not only providing amazing makeover parties in London, Essex and surrounding counties, but also as industry professionals. 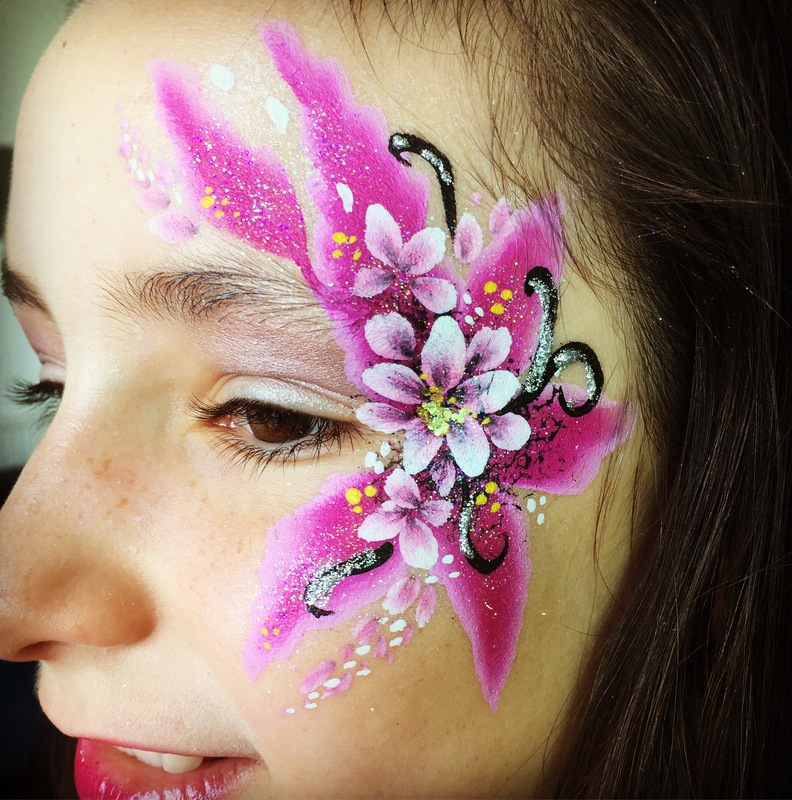 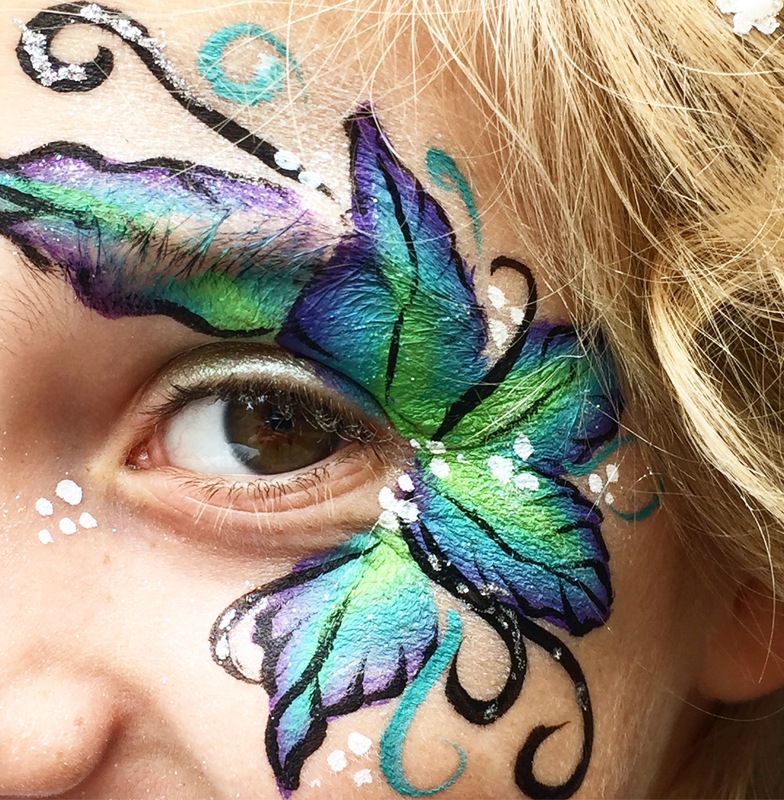 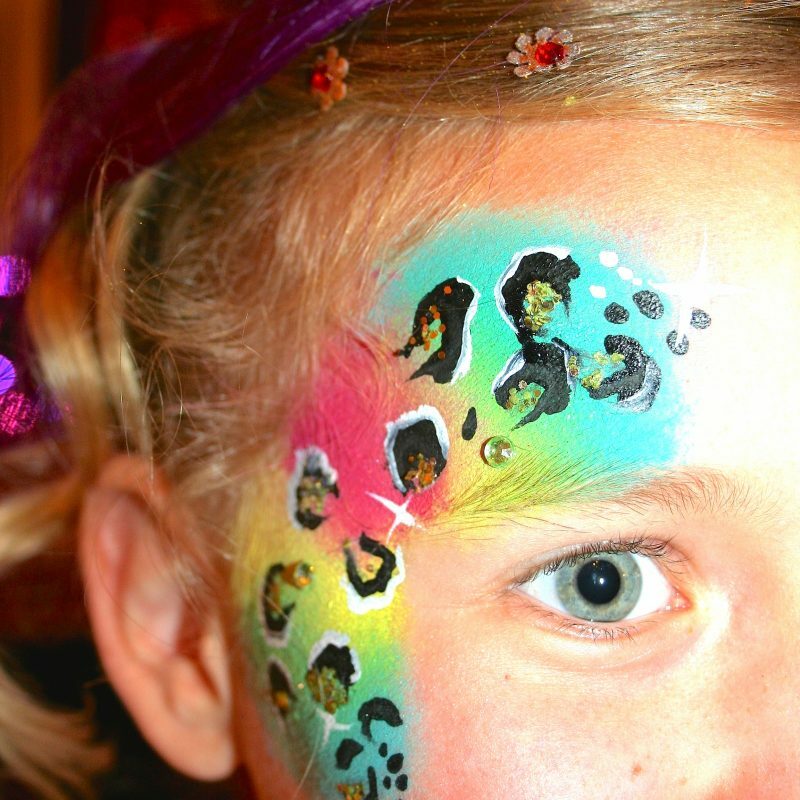 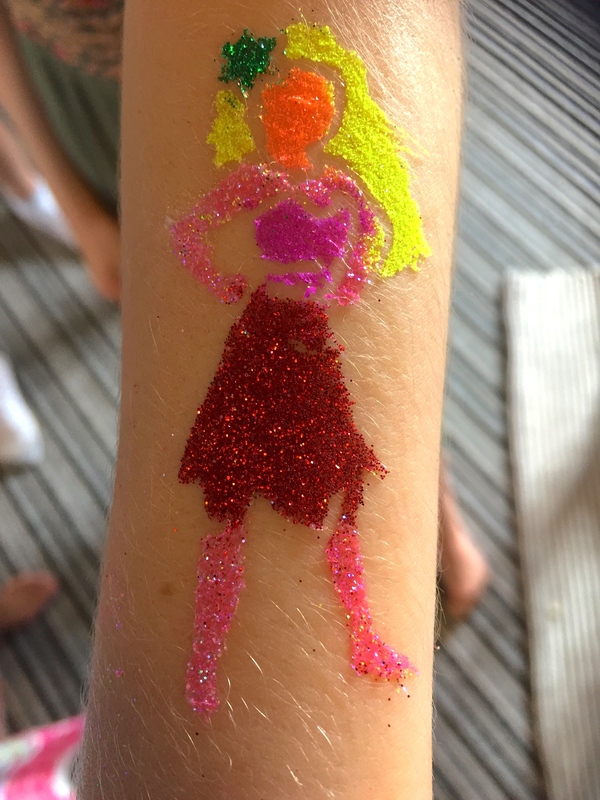 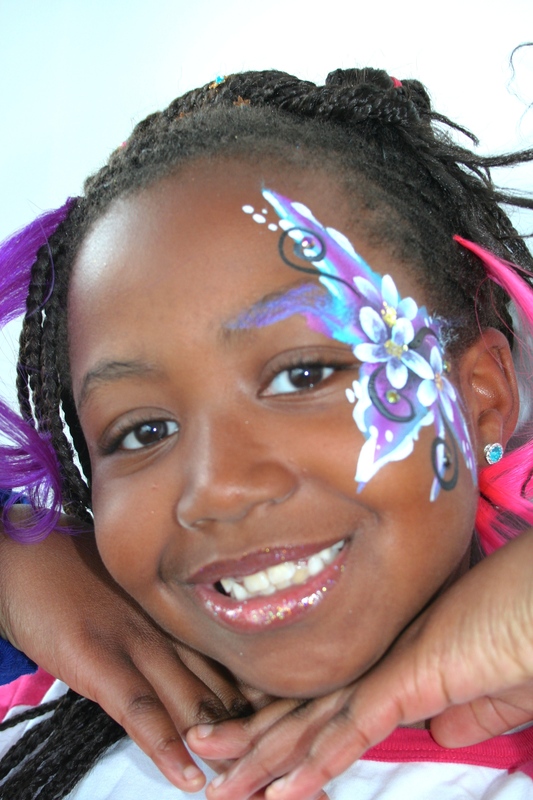 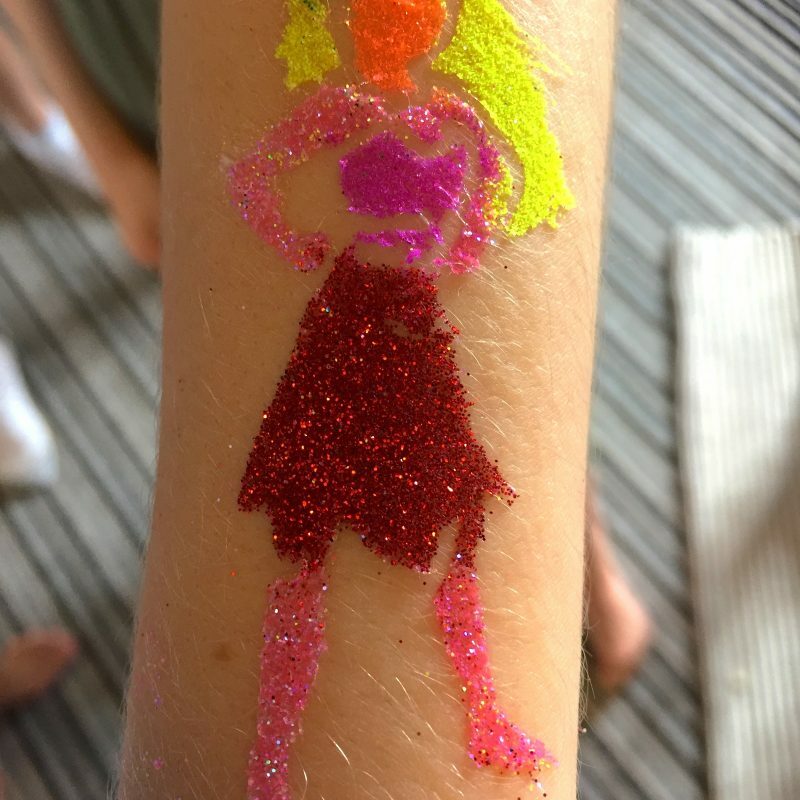 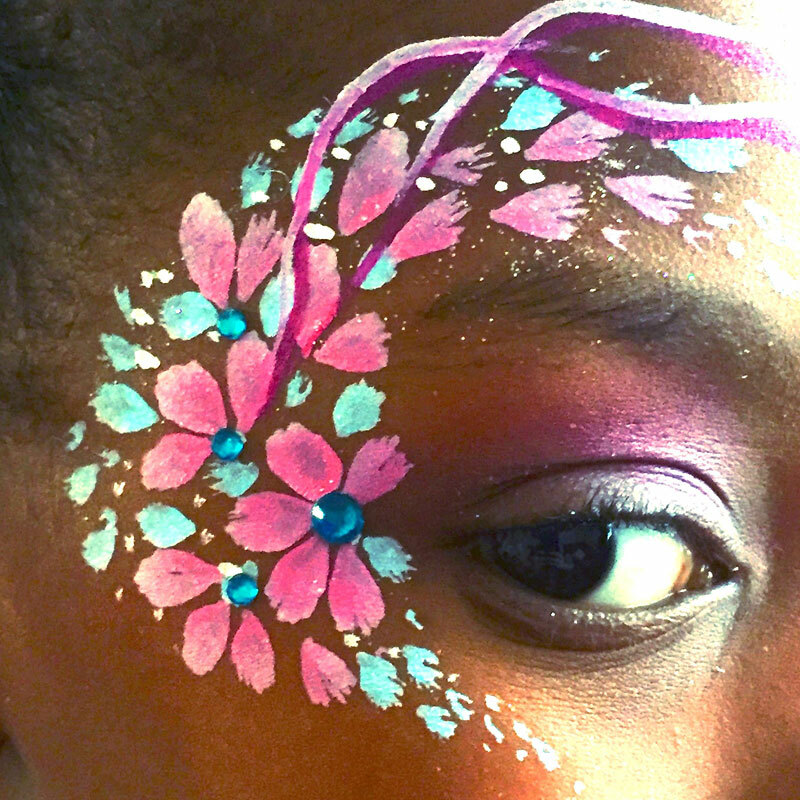 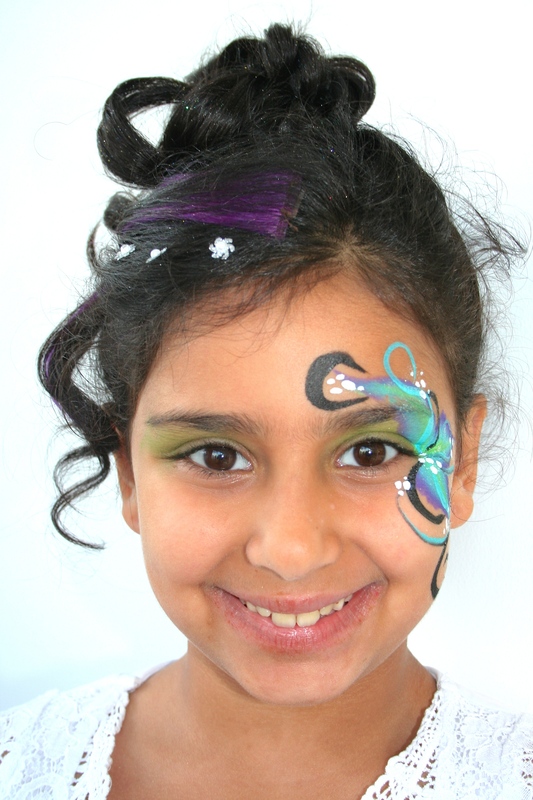 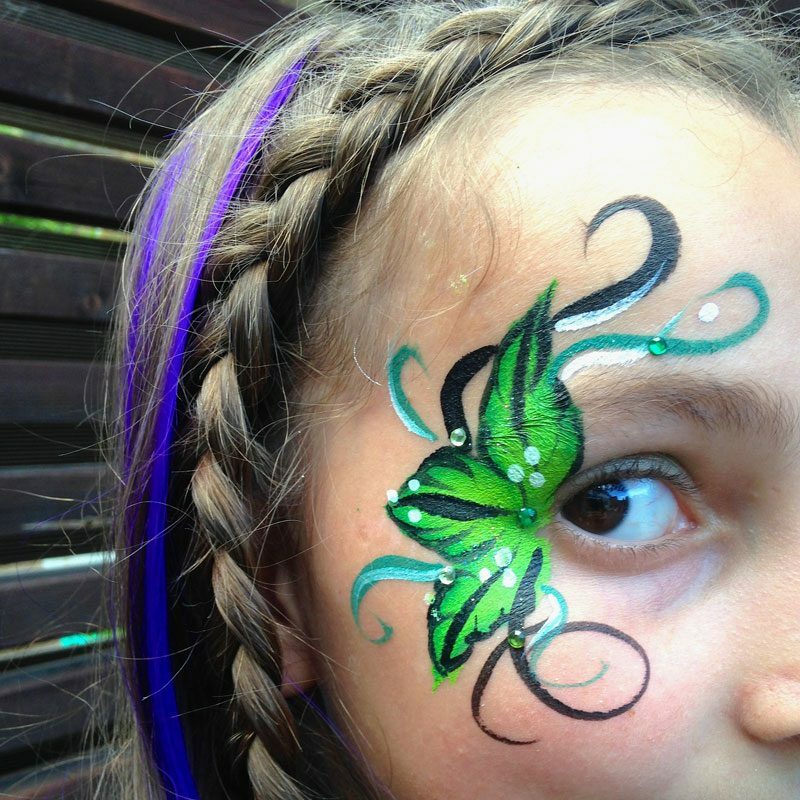 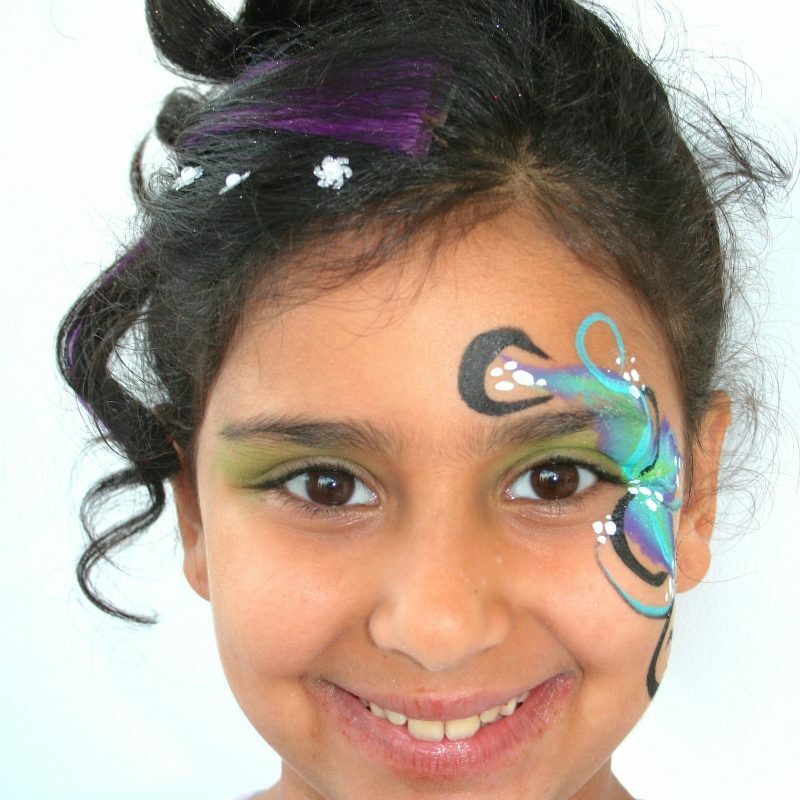 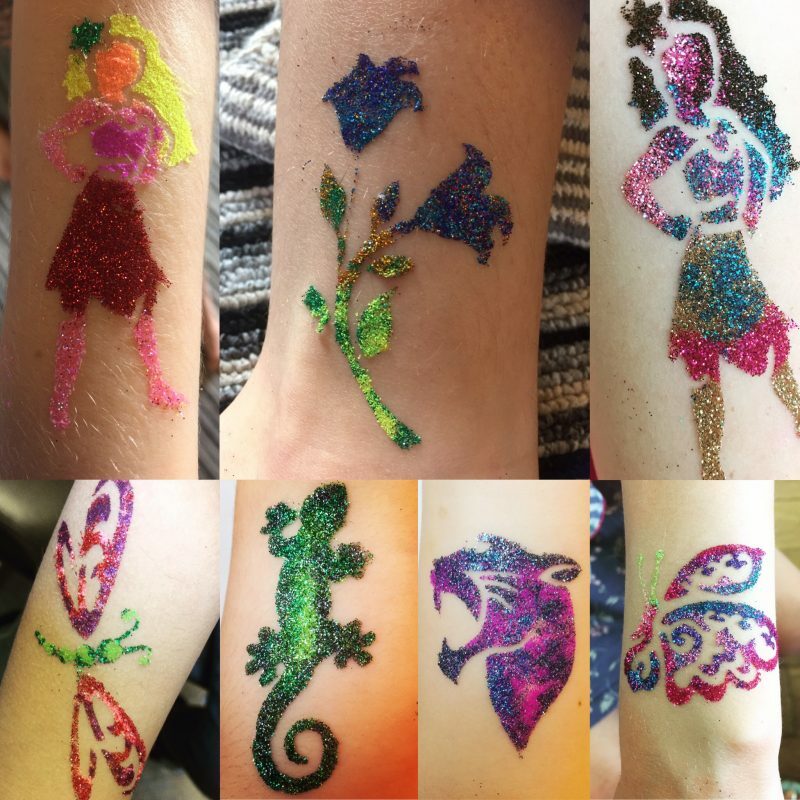 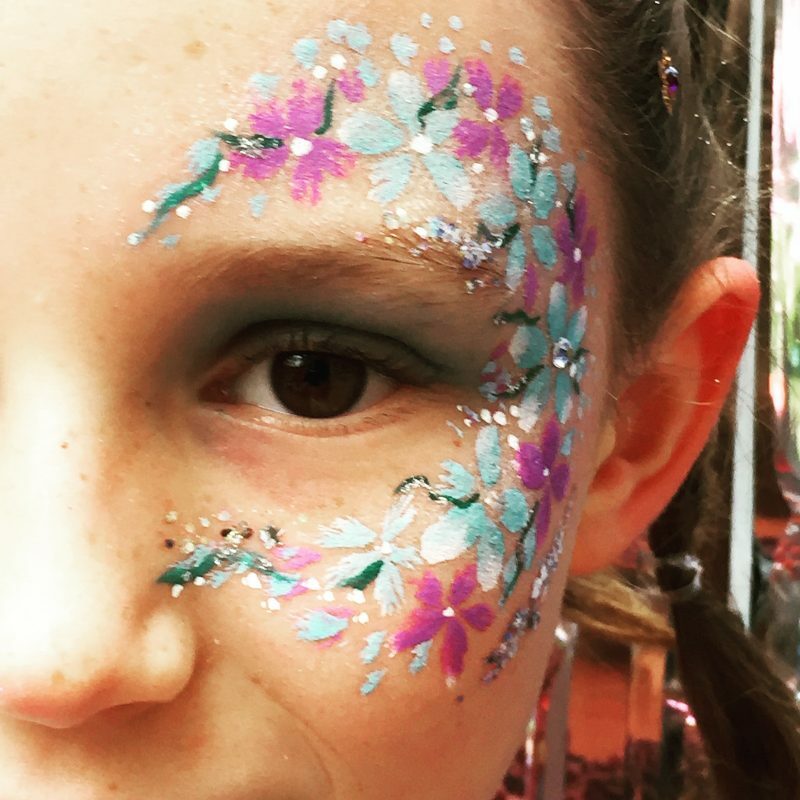 We use a combination of face paints, hypo-allergenic make up, cosmetic glitters and facial gems. 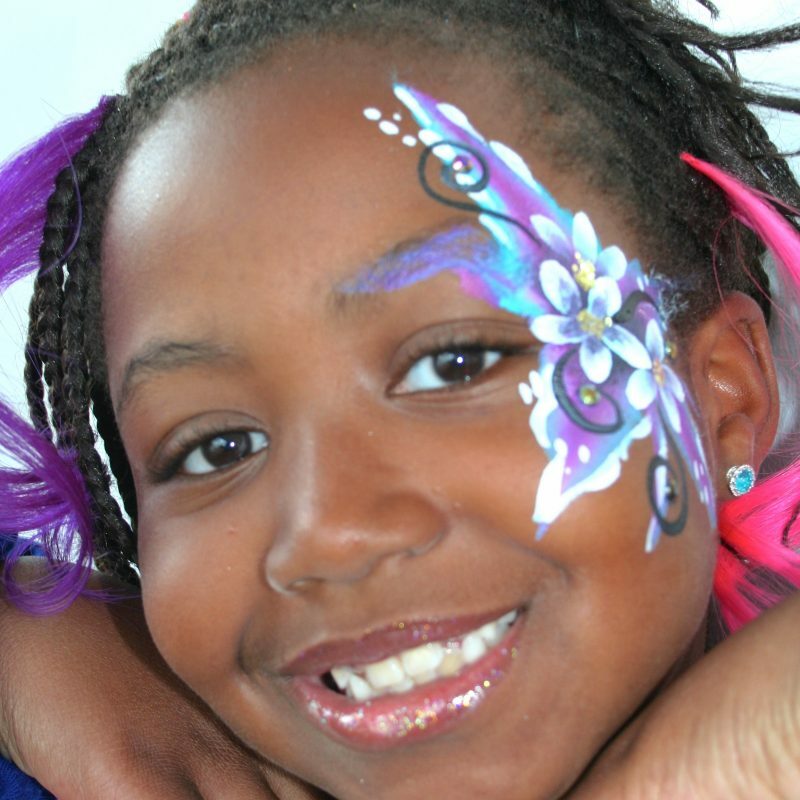 Giddy Diva will transform you and your friends with the ultimate makeover party that you’ll never forget!! 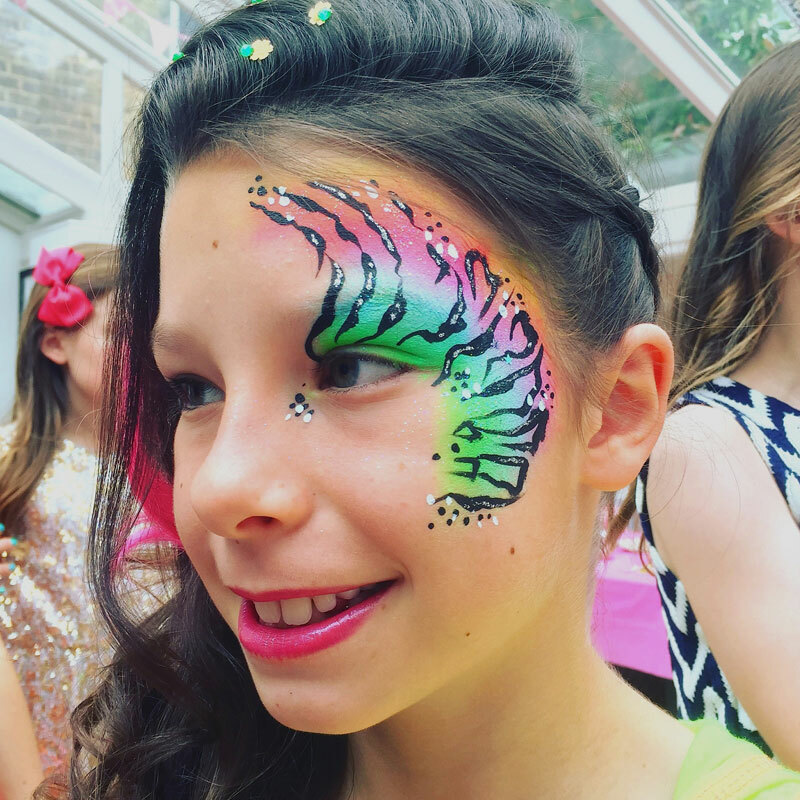 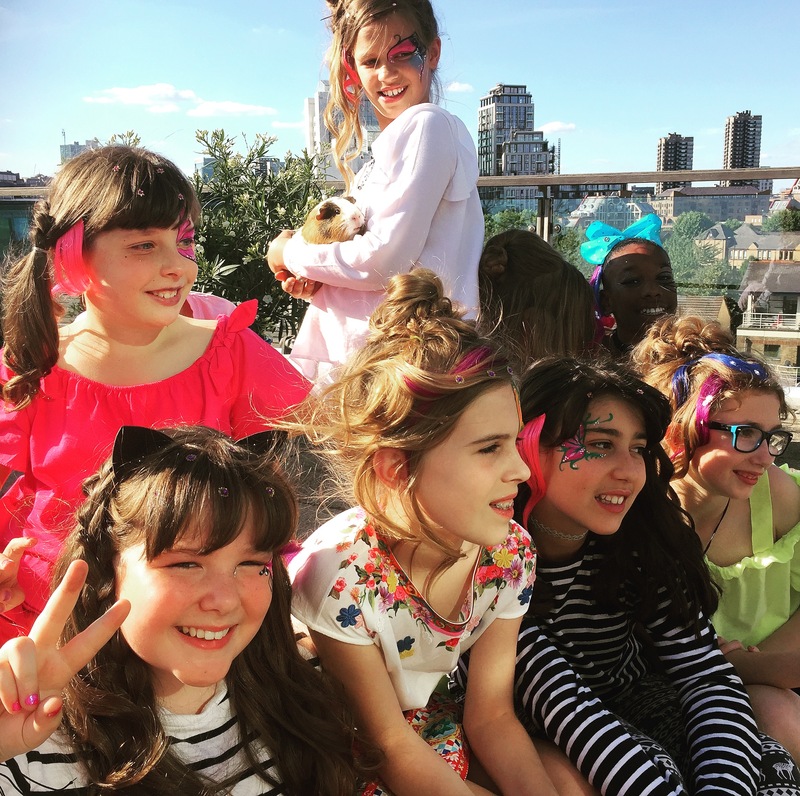 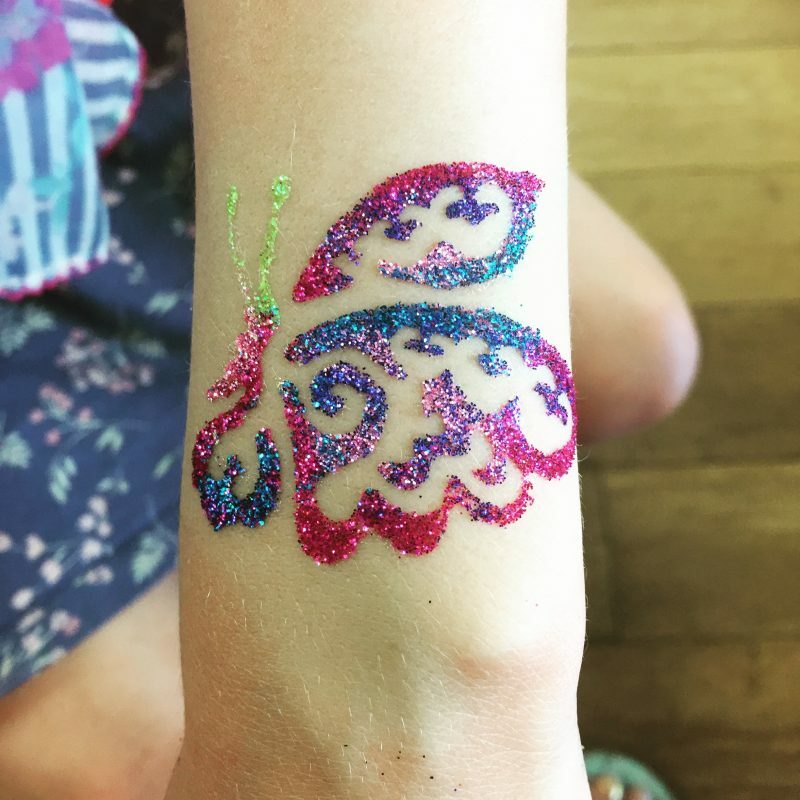 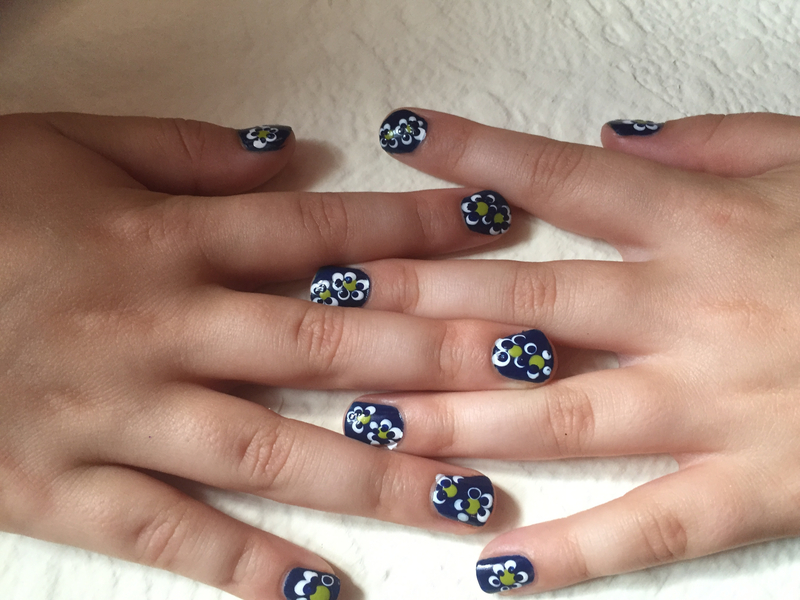 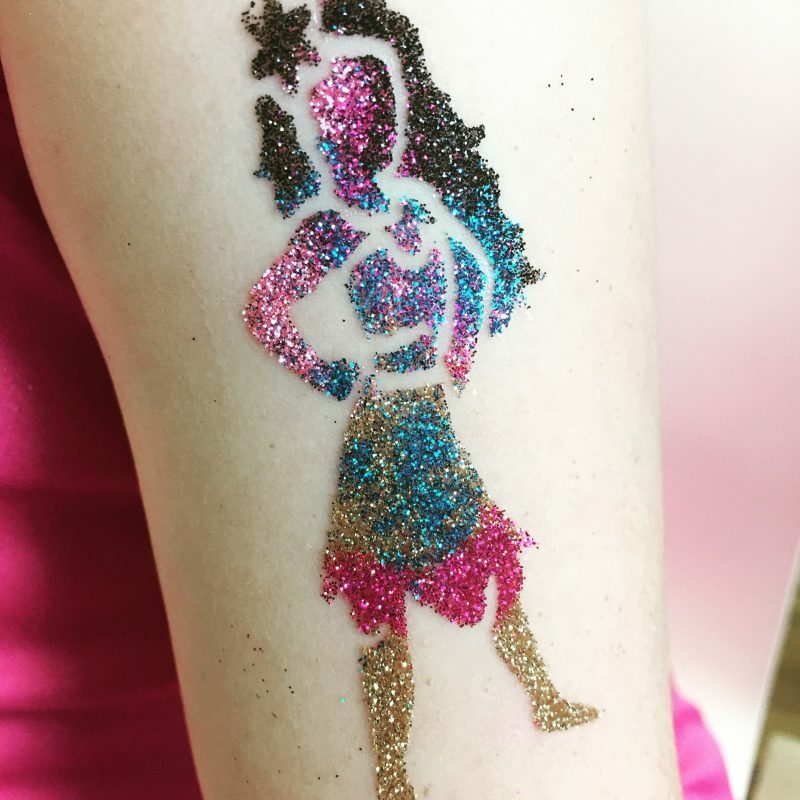 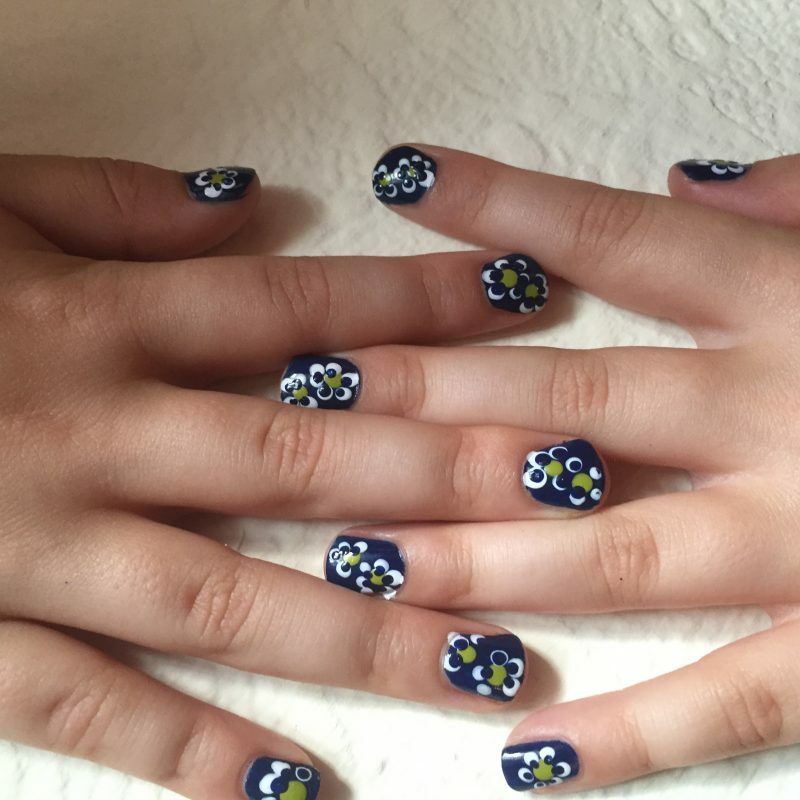 At Giddy Diva, our make-up is always tailored to the age group we work on, and parties start at a minimum number of eight girls. 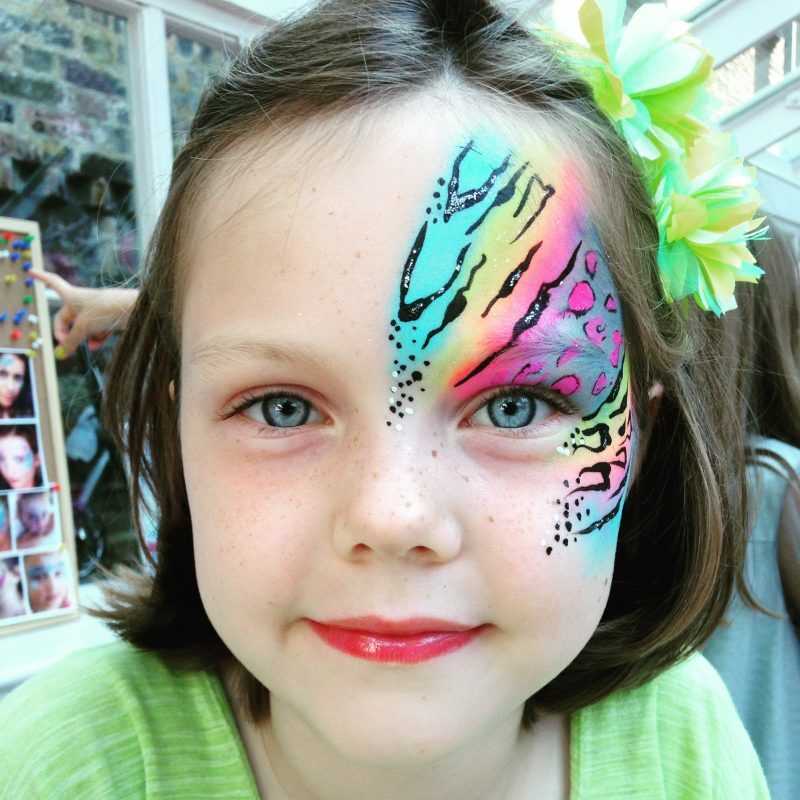 We can also cater for smaller and larger parties – just get in touch. 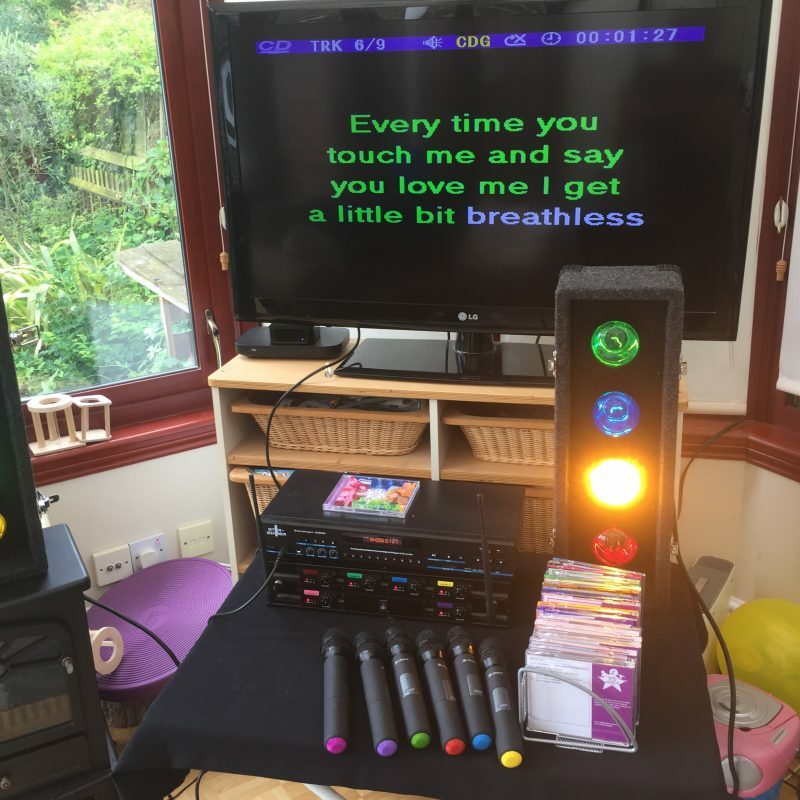 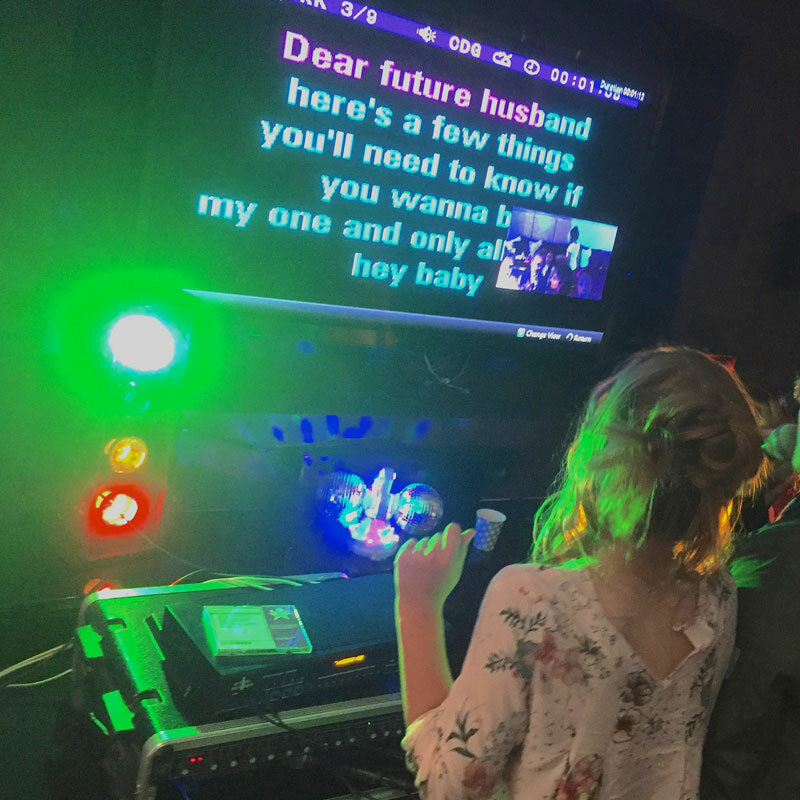 karaoke system with individual microphones, along with disco lights. Our unique make-up and face art, embellished with gems and glitters, with many designs to choose from. 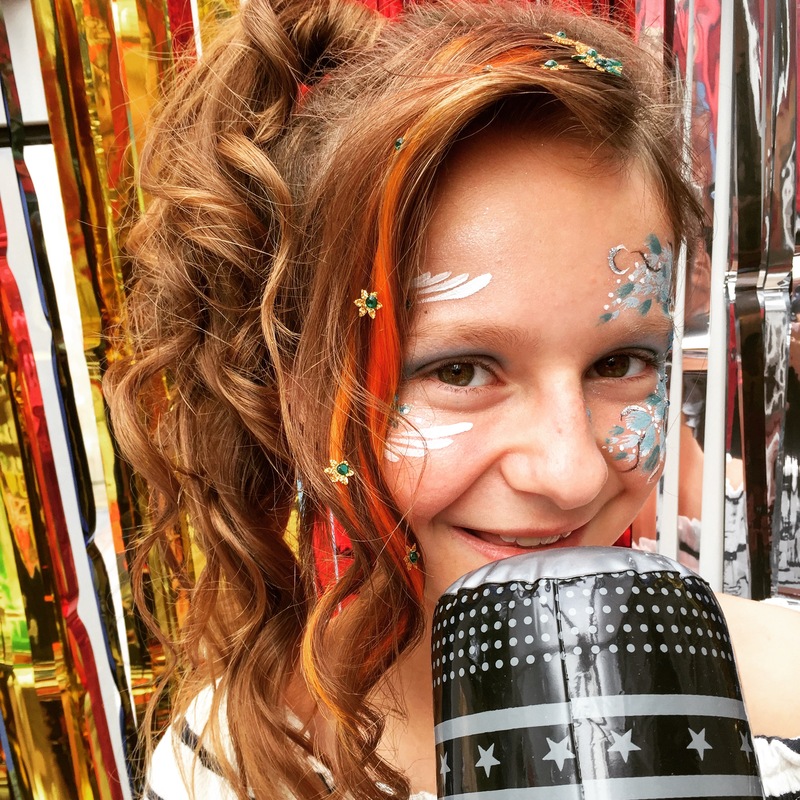 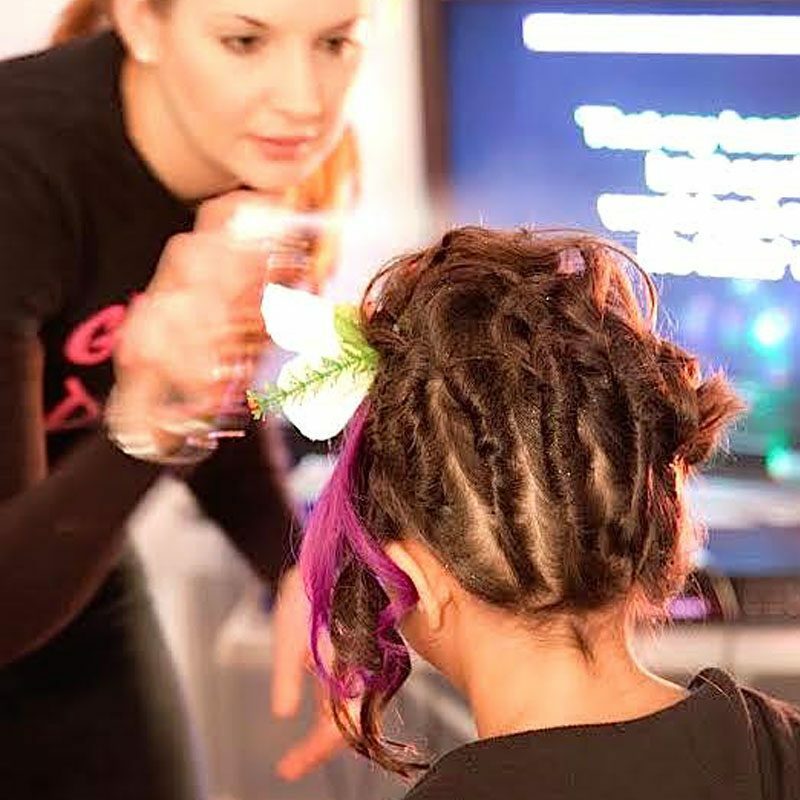 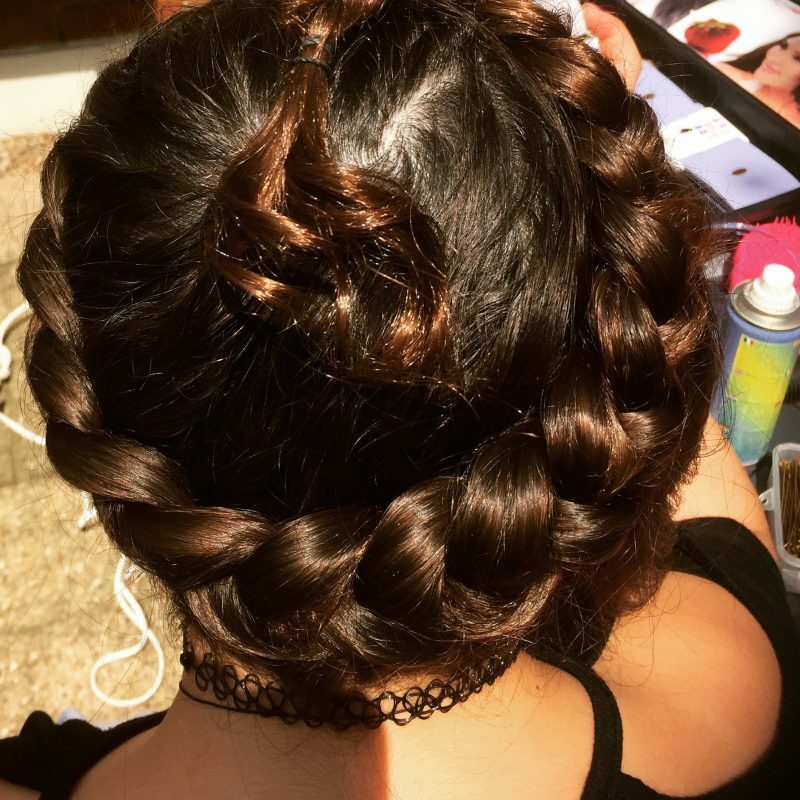 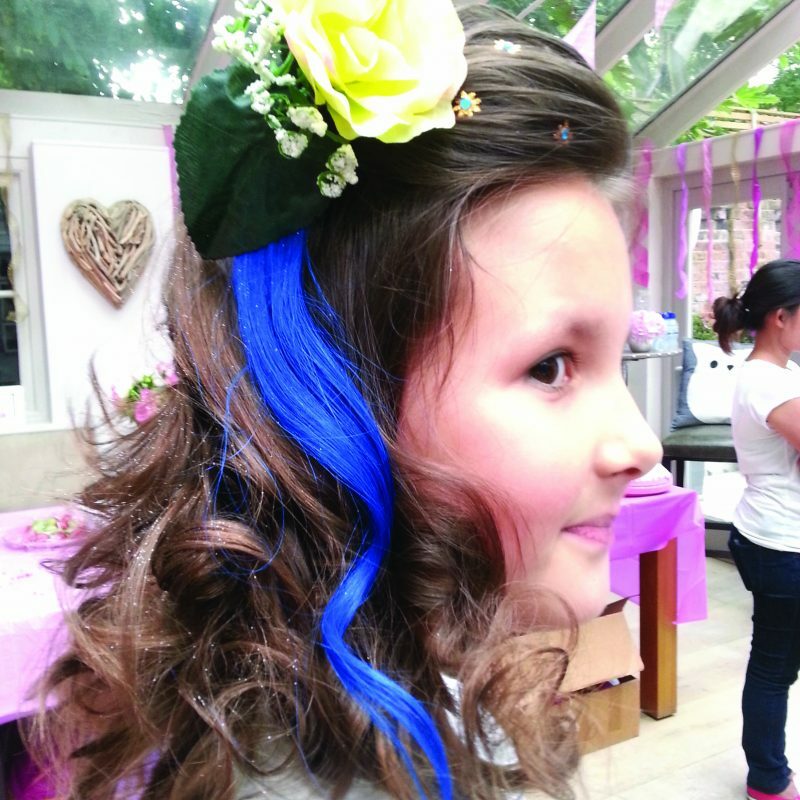 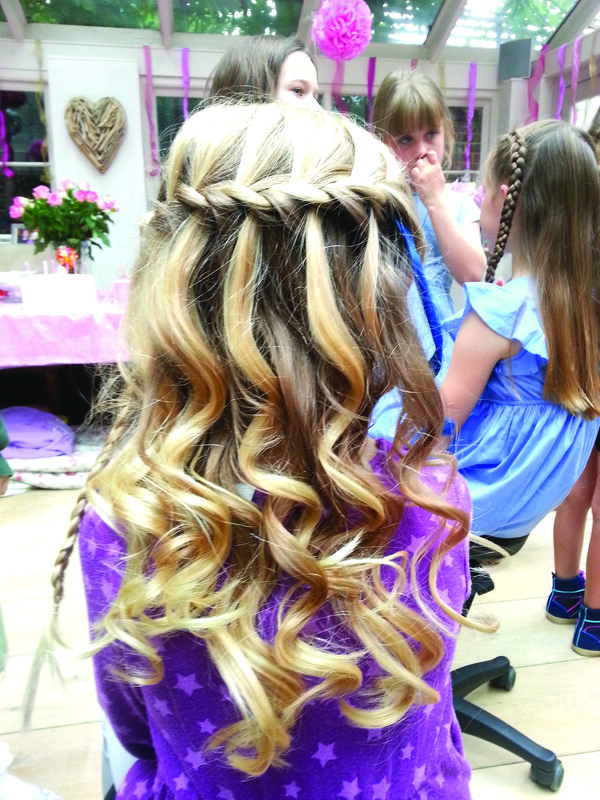 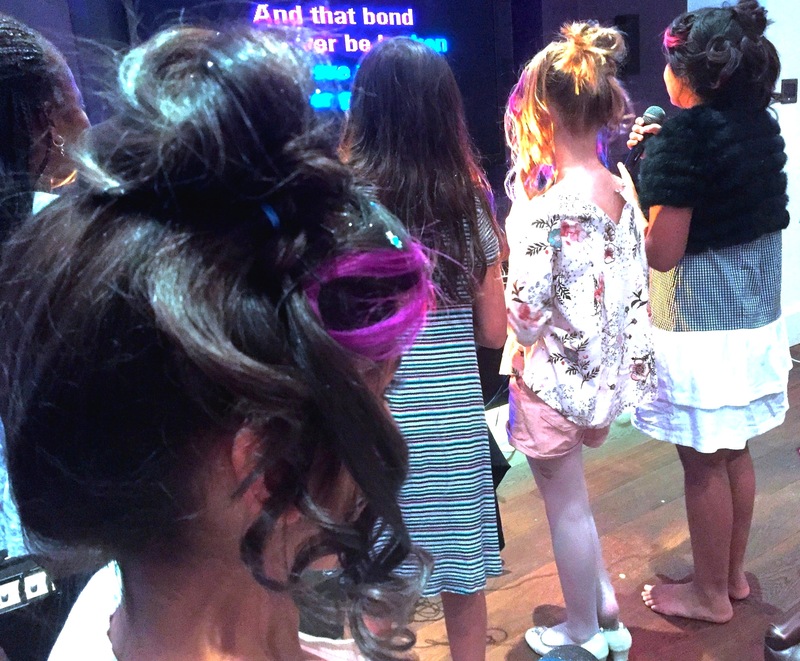 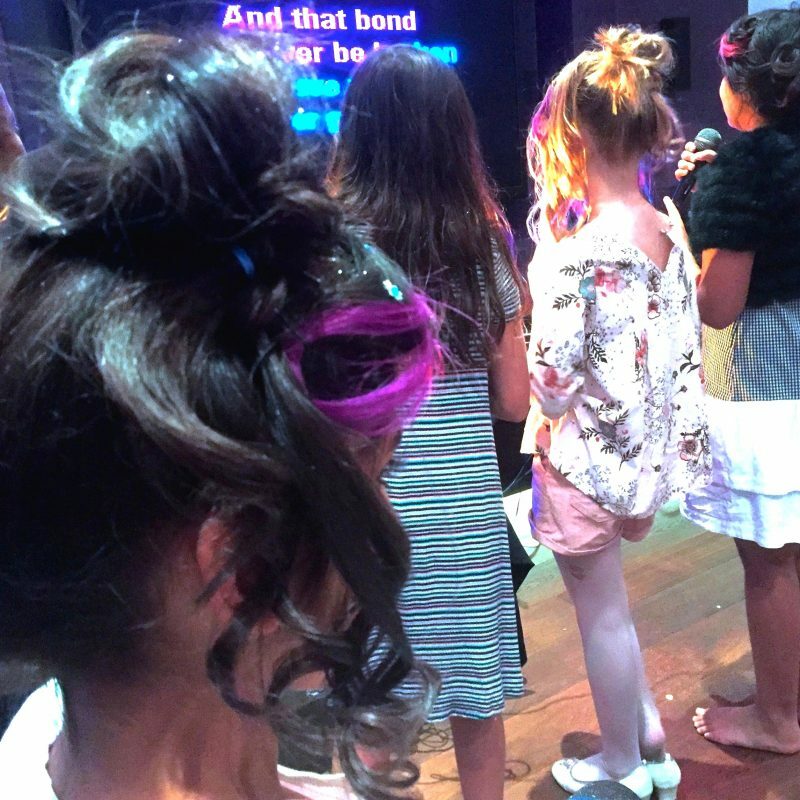 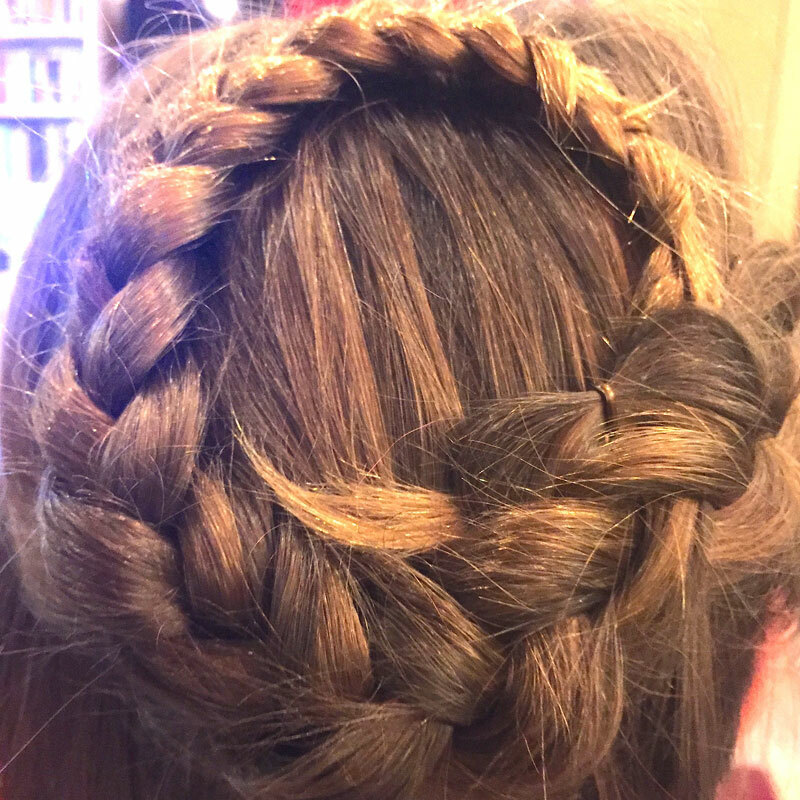 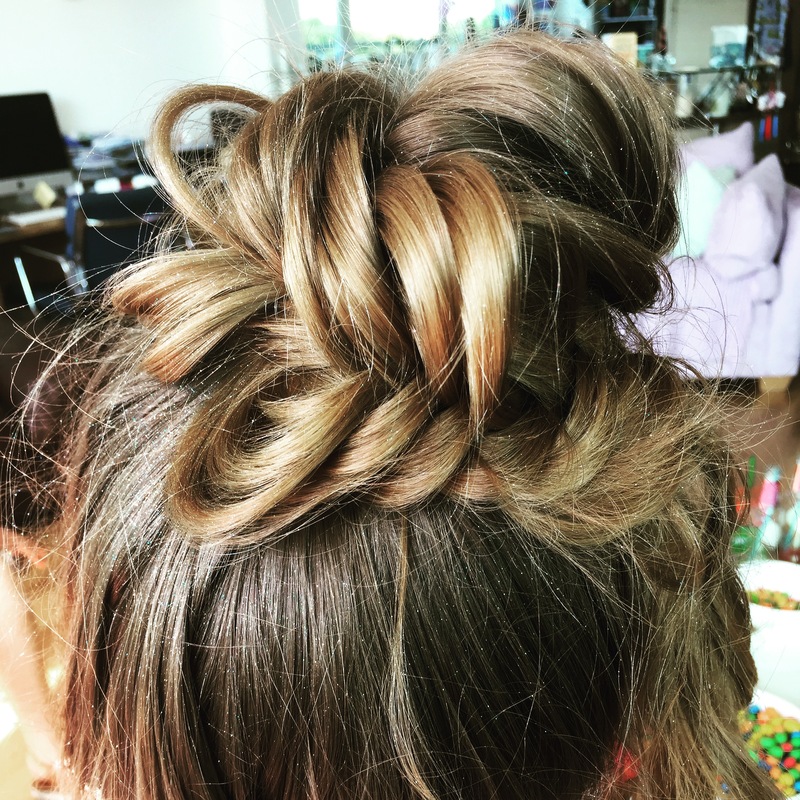 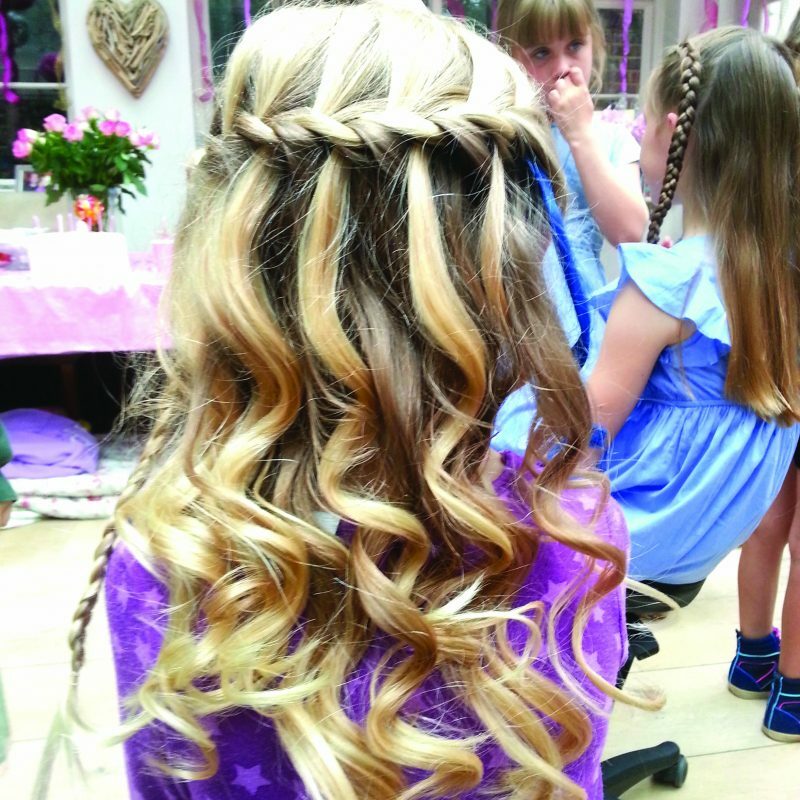 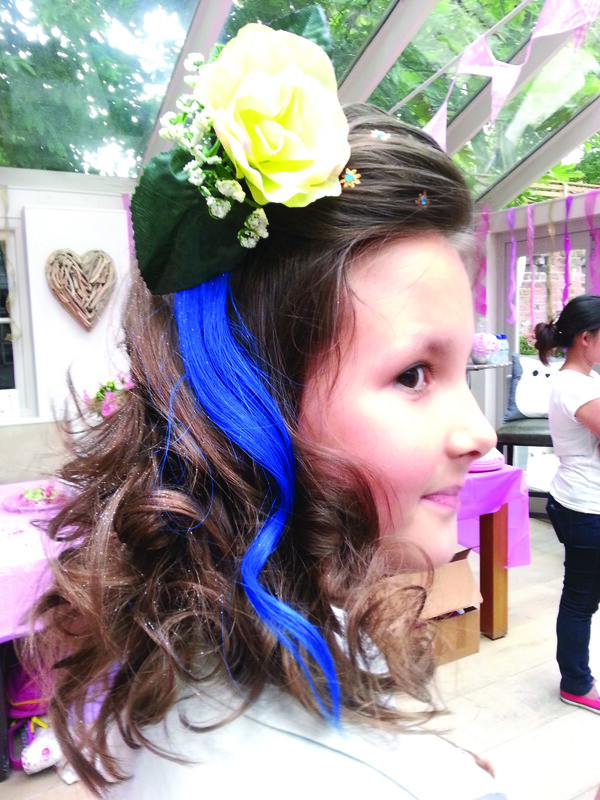 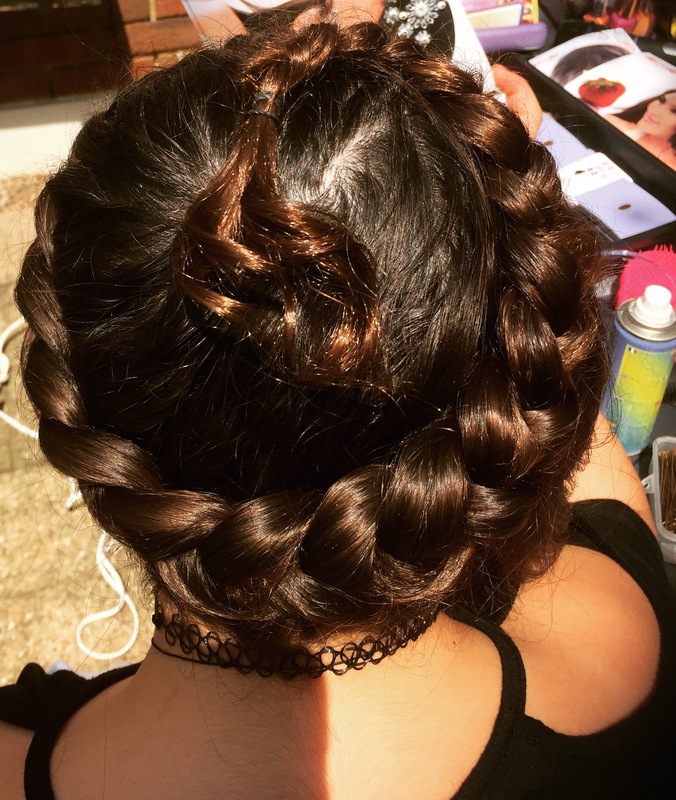 Elaborate hair styling, including braiding, curls and hair up-dos, finished off with coloured hair extensions to keep, hair gems and an assortment of coloured glitter sprays. 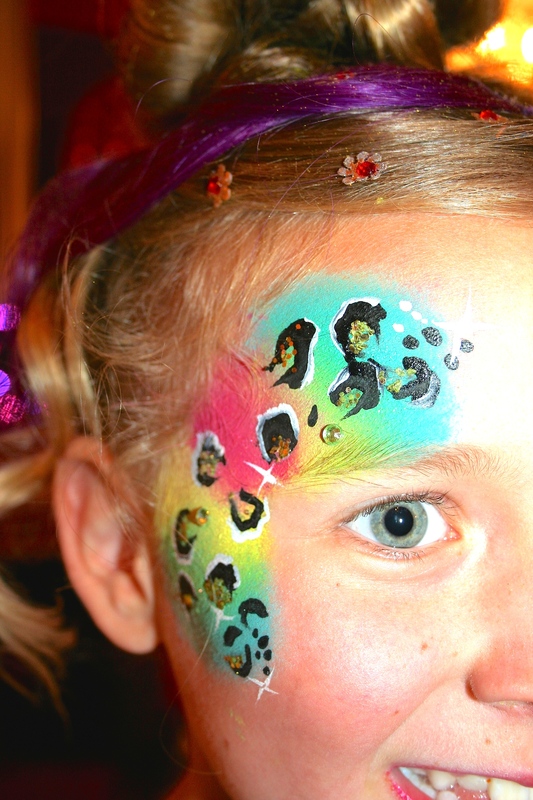 Portrait picture taken, printed and framed of each girl attending the party. To book your Diva-licious Girls’ Disco Party, please complete your details below and a member of our team will get back to you.